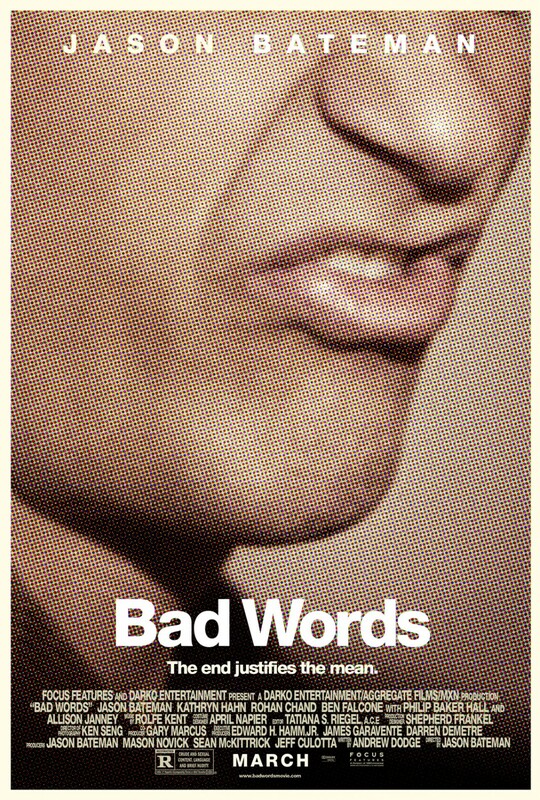 Right from the start, Bad Words goes for the jugular in an effort to surprise the audience with the levels that a vengeful man will stoop to for that revenge. The shock and awe campaign of dialogue will both make you uncomfortable and cause you to laugh out loud. The sheer complexity of the insults that are doled out will keep your jaw hanging in disbelief. Jason Bateman plays the role of Guy Trilby, a man who has been granted a near photographic memory but also cursed with an inner anger that dictates his every action and word. The portrayal of Trilby by Bateman solidifies his stature as a high caliber comedic actor. I say that hoping and praying that Bateman had to really try to be that outright mean as he delivered some of the most vitriol insults ever said on film. If that type of thing came naturally, then Kent and Victoria Bateman have to come to grips with the fact that they may be the parents of the Anti-Christ. Trilby is a spelling genius; he could easily win any spelling bee with just his skill alone. Even though he doesn’t need them, he uses some of the cruelest, most underhanded tactics imaginable to make his path to the win over the fellow competitors as easy as possible. The 10 year olds that share the stage with him during competitions are subjected to psychological warfare that would easily take down adults. Trilby is bad enough on his own, but he does have help in his mission in reporter Jenny Widgeon. Kathryn Hahn plays the role of Trilby’s sponsor and pseudo-willing accomplice. She aids him in his quest with the hope that he will give her the access she needs to write the story that can make her career. Rohan Chand plays the role of 10 year old Chaitanya Chopra. Chopra is one of the many children that Guy is out to crush in his quest. Along the way, Chopra tries to befriend Guy and a relationship is formed that you know is not going to go well. In addition to playing a starring role, Bateman also directed this film. He did an excellent job of emphasizing just how morally bankrupt the characters of this movie are. At no point in the movie are you ever allowed to settle in on a character being “good” or “bad”. All that is constant with Bad Words is that it is shocking and very funny. Leave the kiddies at home and go out and see this movie for a good night of guilty pleasure funny.